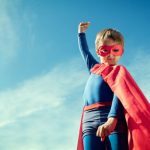 Writing this article is very timely for me, because my son recently turned 6 months old and have I ever been pureeing up a storm! Being a Dietitian and food lover, I have been waiting patiently for this moment and let me tell you, it’s been lots of fun so far! Each time a new food is introduced, I cannot help but laugh at the hilarious expressions that come across my son’s face. Even though he is not a huge fan of everything that touches his lips quite yet, it is rewarding to witness his young palate mature with new tastes and textures. Starting solids can be nerve-racking for Moms, especially the prospect of making home-made baby food. It may seem like a daunting task- after all, you’re adding one more extra step to your already very busy day. Don’t worry though- it’s easier than you may think and besides, somehow as Moms, we adapt to new challenges that face us. It’s hard to know whether what you’re feeding your baby is safe and supplies the important nutrients needed for healthy development. There are definitely economical and nutritional benefits to making your own baby food. The nutrition that your babies get now is of critical importance to his or her physical, intellectual and developmental growth through to adulthood. Offering homemade, additive-free baby food can help shape your baby’s food choices for many years to come. That being said, there are now many options out there for jarred baby food. You can find several organic brands of baby food at local grocery stores, drug stores and natural health food stores. If you do choose to buy jarred or packaged baby food, choose organic when you can, and if you see a long list of ingredients that you are unfamiliar with (additives and preservatives), choose a different brand. 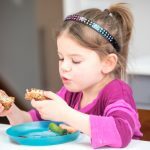 The Joint Working Group of the Canadian Pediatric Society, Health Canada and Dietitians of Canada all suggest that parents wait until their healthy babies are at least 6 months of age before starting solid foods to maximize the time that they exclusively breastfeed and to ensure that their digestive systems are mature enough to handle solid foods. It hasn’t been found to be nutritionally beneficial to start solids before 6 months of age. 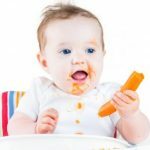 However, some experts (Physicians and Dietitians) suggest that it is safe to introduce solids a little bit earlier than 6 months as long as their baby can hold themselves upright, has shown an increased interest in food and does not push food out of their mouths with their tongue. 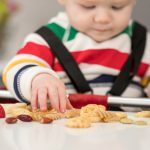 It is best to feed your baby in a relaxed, distraction-free environment so that your baby can focus on his or her food. Have your baby sit in a high chair and make sure that you are at approximately eye level. 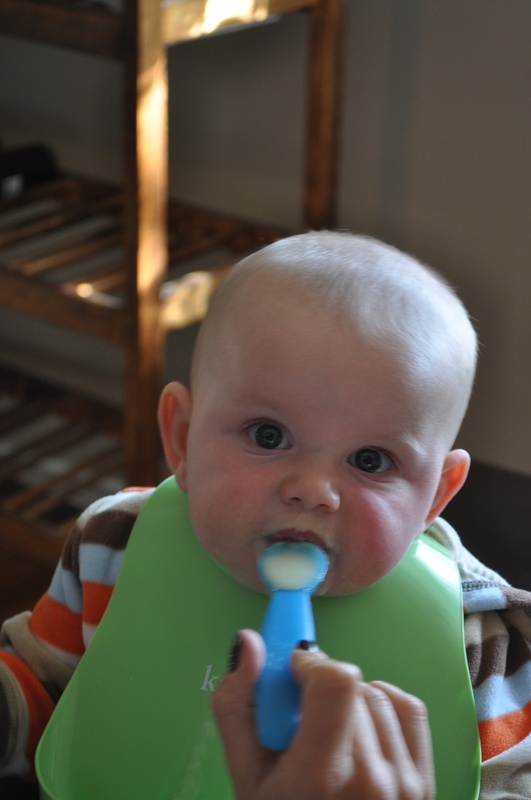 Hold the spoon a few inches in front of your baby’s mouth and wait for him or her to open up before you feed her. Let your baby be your guide as to how much or little, or fast or slow he or she wants to eat. Stop when your baby is not interested anymore. Give your baby several chances to warm up to a new food- it may take 15-20 tries before he or she becomes comfortable with a food! Begin by offering solids once per day and then increase to 2-3 times per day and then again to 3-4 times per day. The consistency of your baby’s food should be thinly pureed at first. 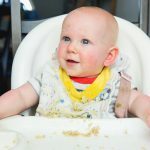 Think of your first few feedings as practice feedings- your baby may very well resist the food that you’re offering in the beginning, but do not get discouraged- this is normal. Use this time as a fun time to take a video and watch the funny faces that your baby makes. Breastmilk or formula will still supply the majority of your baby’s nutrition, so not to worry. Until recently, experts have suggested starting with vegetables and fruits. Now it is recommended to start with iron-rich foods such as well cooked meat, poultry or fish or iron-fortified infant cereals. This is because iron-deficiency anemia is common among infants aged 6 to 24 months. Start with 1 tablespoon of iron-fortified single grain infant cereal or well-cooked pureed meat, fish or poultry, and increase the amount as your baby cues to do so. Iron-fortified rice cereal is a typical first choice as it is unlikely to cause allergies and is easily digested. Iron-fortified barley, oatmeal and finally wheat cereals should be introduced at weekly intervals. You may then introduce iron-fortified mixed cereals. Iron-fortified cereals will form the basis of your baby’s diet for the first 2 years of life to ensure adequate iron intake. Mix the cereal or meat with either breastmilk or formula. When introducing a new food, serve it on its own or with a familiar food. This allows you to watch out for food allergies or reactions. Be cognisant of your baby’s hunger and satiety cues and do not force your baby to eat or over-feed. Now it’s time for veggies and fruits! Continue to serve your baby the familiar iron-rich foods as you introduce this food group. Green and orange vegetable and fruits are offer a good variety of nutrients, so you may want to start with these first. The first vegetables that I introduced to my son were yams, peas, green beans, carrots and squash. Start with a few different vegetables before introducing fruit, because fruit may be preferred over veggies due to the sweetness. This doesn’t mean though that your baby won’t prefer fruits over veggies (which is very possible). Once your baby has been exposed to a few vegetables, introduce pureed or finely mashed fruit. This will likely be a hit! 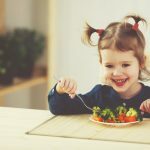 Once your baby has been exposed to a variety of vegetables and fruits, you may start to combine all food groups to make balanced meals (think whole grain or cereal, vegetable or fruit and a meat/poultry or fish). This is also a great time to introduce beans, lentils, legumes and eggs if there are no strong allergies to these foods in your family. 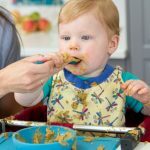 Your baby will transition from eating thin, runny, smooth pureed food, to more textured puree’s (minced consistency), to finger foods and even to regular foods eaten by the rest of your family, from 6-9 months of age. How quickly your baby moves through these stages depends on your baby’s individual development and should not be rushed. Gently and safely challenge your baby to try different textures but do not get discouraged if he or she takes longer than your friends babies- all babies progress at different rates. At about 9 months, your baby should have been exposed to a wide array of foods. This is when you can become more creative with recipes and combine all food groups at meals. At this stage, it is safe to start trying dairy products including yogurt, cottage cheese, shredded hard cheeses or pasteurized soft cheeses. Wait until 12 months before introducing whole cow’s milk to drink. I will briefly touch on allergies and adverse reactions to food as this could be an entire article in itself! If your baby has not shown any adverse reactions to food, does not have eczema or asthma and there is not a family history of allergies, there is no reason to the introduction of foods that typically cause allergies. Most parents though, play it safe and do not introduce these foods until at least 9 months. It is completely up to you as the parent what you are comfortable with. 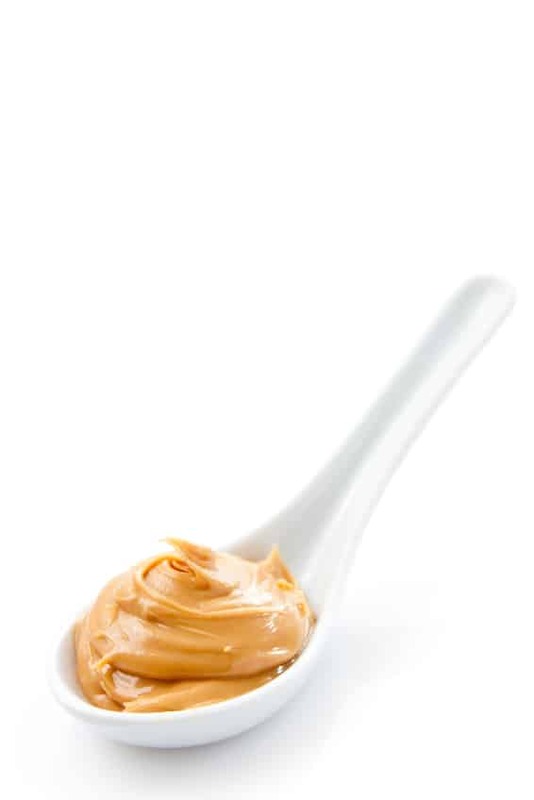 Although any food can cause an allergy, the majority of allergies are caused by 10 foods: peanuts, tree nuts, sesame seeds, milk, eggs, fish, shellfish, soy, wheat and sulphites. Regardless of when you introduce these foods, you should serve them on their own in small quantities so that you can closely monitor your baby’s reaction. Try to introduce them during the day so that your baby doesn’t have a reaction when they’re sleeping. Introducing solids to your baby is lots of fun. Try to be patient and know that it may take a while for your baby to warm up to certain foods- this is completely normal. You may, on the other hand, have a baby that loves every food from the first bite! In that case-congratulations! 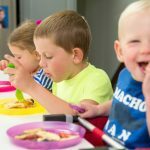 I have outlined a few guidelines that may make it easier for you to transition your baby to solids in this article, but you will find that every parent does it differently. You are the expert on being a parent to your baby and you will do a great job at introducing your baby to the world of real food! Bon appétit babies! 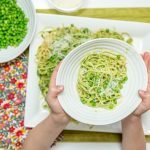 Make sure to follow me on Facebook and Instagram, where I post all of my newest family-friendly recipes and blog posts. Thanks for the advice. New babies can be overwhelming with when to do this and how to do that. This was well informative and helpful. I am wegetarian since 14 and had a problem because doctor said that my child should eat some meat because of witamins and iron which my kid couldn’t get from my milk. But I have never prepared a meat so what to do? 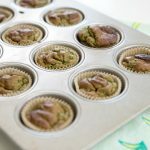 I found blog with an e-book https://www.parental-love.com/shop/baby-food which really helped me.